Ford's F-Series pickups are proof that barnyard workhorse trucks will never be their squared-off selves again. Aerodynamic outside, luxurious inside, overhead-cam performance under the hood, and safety and convenience features that only a few years ago weren't available on cars, let alone trucks, the Ford F-Series pickups are as modern as trucks get. 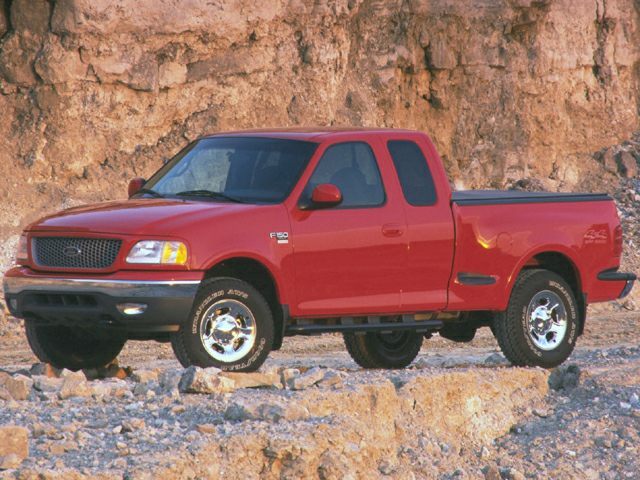 For 1999, the F-Series trucks sport a revised front-end appearance with big new grilles, valance panels and chrome bumpers. Four doors are now standard on all extended cab models.